As I left for work the road outside my house was particularly busy so when a sensible gap appeared I gave it the beans - this wasn't such a good idea as the cold tyres gave up grip quickly and the R8 oversteered rather a lot. I quickly eased off and the car straightened up but it gave me a taste of the R8's playful nature. My resolution to master the paddles had me thinking a little too much about what I was doing and I found I held the steering wheel at a quarter to three, as this is the most natural position to have immediate access to the paddles. This in turn means I ended up steering less naturally as I wanted to keep my hands in a fixed position next to the paddles in case I needed to change gear mid bend. This got me thinking about the car chase scene in Ronin when De Niro was driving. His hands were fixed at a quarter to three position but he looked petrified. I wasn't not petrified at all, instead I was grinning like a Cheshire Cat. I found that a lot that week, I just smiled to myself for no other reason than I had access to the R8. On the motorway the traffic flowed at a reasonable speed and the rain hammered down. The wipers on full speed do a decent job of clearing the windscreen and are just another reason why the R8 is the thinking man's supercar - you know everything is going to work and work properly. At lunch I popped to Asda for another colleague passenger ride request. I bought lunch and a few other larger items and try the front boot which is opened off the key fob. It is a fairly large space and swallowed groceries with ease, although I did get some funny looks from shoppers thinking I was putting my sandwiches in the engine bay. No matter how hard I dropped the bonnet it doesn't completely shut and needs a further push to click into the locked position. There were speed bumps as we exited the car park so I drove over them cautiously, waiting for cringeworthy scraping noises - but needn't have worried as despite the low cabin there is still reasonable ground clearance. Later that day when in the gym I got chatting to a friend. During the conversation I couldn't help throw in that I was in an R8 for a week - seems many people adore them, even non petrolheads and it is always their dream car, not a Lamborghini or Porsche but an R8. I think this is down to the fact that people can relate to it being an Audi so can do things normal cars can do (well, apart from carrying more than 2 people) but then can do things that other cars can't do - supercar things. At least there were no complaints from the passenger seat on the drive back which is a good sign as she doesn't like going fast - the stable R8 provides a secure ride and made her feel safe. After an enjoyable few miles on some twisties I pondered the question of the R8's status as a supercar. Evo magazine doesn't list the R8 as a supercar, instead it is listed in the sports car category along with Boxsters and MR2's. What codswallop! 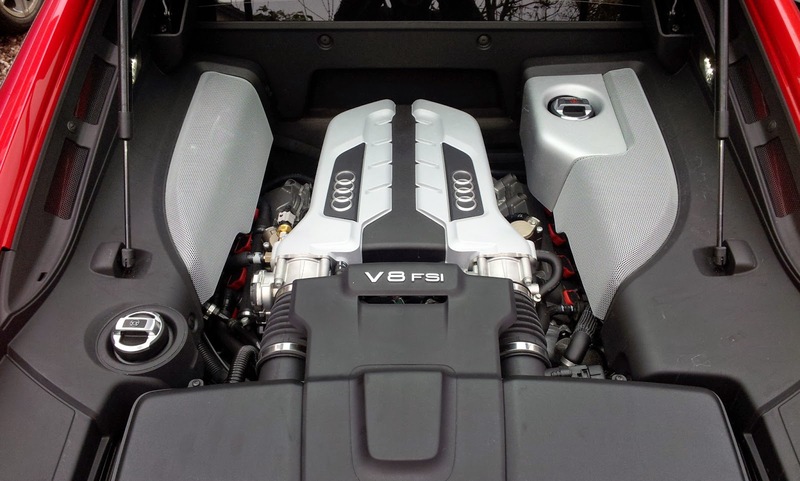 Even in V8 spec the R8 is pure supercar, definitely more so than a Honda NSX or BMW M1 with their six cylinder engines - that have been listed in the supercar category in Evo. To me a supercar must be mid-engined, highly-powered (enough to get you into trouble), exotic, special, shouty, slightly impractical and, most importantly, an entertainer. 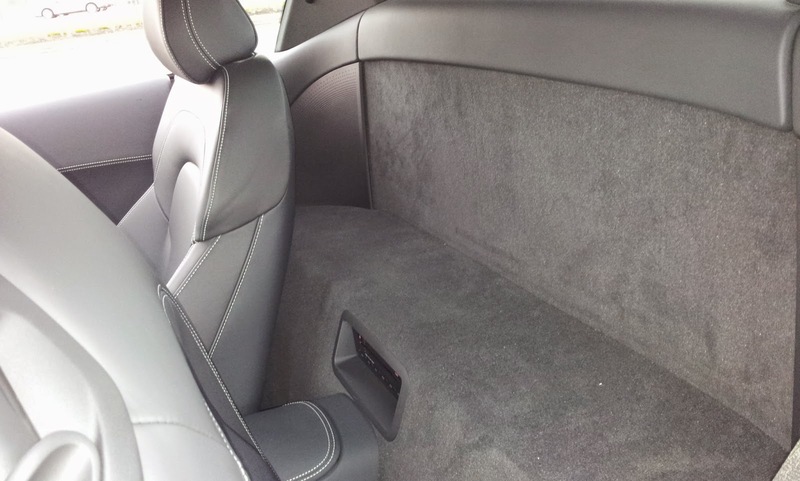 The R8's only failing on the list is that it isn't that impractical in that there's tailored usable luggage for weekends away and even a set of golf clubs can be accommodated on the shelf behind the seats. Granted it is wider and lower than most cars so exiting the car in a standard size parking bay can be tricky but it copes brilliantly as an everyday car. On the way home from work I approached a Fiat 500 doing some 20mph below the speed limit. It wasn't safe to pass so I pressing the sport button to prep the car and waited patiently behind for a safe opportunity. As I waited, peeking out from the R8's low cabin, the little 500 looked comically high in front of me which tickled me rather. Moments later the corner levelled out and the road straight ahead beckoned so with 2 clicks on the left cog I was in second and foot flat to the floor the V8's violent power delivery slung me level with the little Fiat. At this point as the revs approached the 8,000rpm redline - sounding part powerboat part race car - and just a tickle on the right paddle put me into third for the final pass to get past. It was a joyous experience, not just the acceleration but the raw engine noise made by the high revving V8 inches behind me. It also meant that the overtake was delivered quickly and efficiently so we were on the wrong side of the road for the shortest amount of time. Quite safe these supercars! Later on I was sat at some traffic lights and whilst I was looking around the cabin noticed that the climate control is controlled by good old fashioned rotary controllers - one for heat, one for fan speed and the other for air direction. 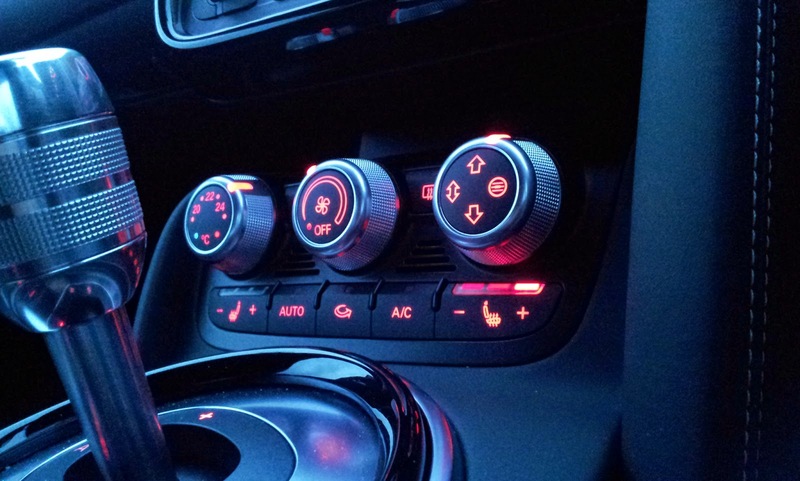 What a brilliant idea, not only are they much easier to use than conventional climate control switchgear but they look much more purposeful than a keyboard of confusing buttons that take 20 seconds to click click click in half degrees from 18 to 25 degrees and then click click click click to change the passenger side. I parked up at the house and smiled as I got out. It was a good day. It was a big day today. I was off to Berkshire to visit Speedmonkey (Matt (our kid)) so would spend lots of time in the R8 and was really looking forward to it. First off and this morning was my only opportunity to give the R8 a clean and take some decent pictures for my full review. 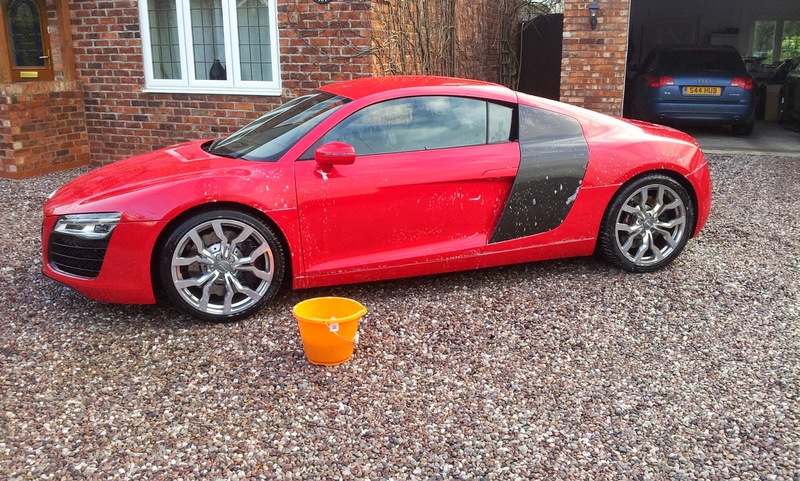 I don't use car washes, they're horrible things that throw all the dirt collected in the brushes into your paintwork and then swirl it around so it's out with the hosepipe and bucket . She got a hosing down to loosen road dirt and then good a good rub with a sponge and some soapy water. I always hand wash press cars as you spot detail you may not ordinarily notice. Particularly noticeable was the underbody aero and amount of the vents for various radiators and air intakes to cool the car. The underneath is very smooth and I couldn't feel any fixings, this has been properly designed and engineered to go fast, be utterly stable and also keep wind noise to a minimum. One feature that I previously hadn't noticed was that the shape of the door mirrors - they ape the contour of the rear arches. The wheels were up next. The 10 spoke 'Y' design alloys were a complete pain to clean as the shape is so intricate. The spokes are mounted on the very edge of the alloy and there is an inner rim just behind the spokes. Whilst getting busy with the alloys I took a good look at the brakes, 8 pot calipers at the front and 4 pots at the rear with steel 'wavy' discs. These looked awesome behind the alloys. I also noticed a second smaller brake calliper on each back wheel which is used for handbrake duties. Once rinsed and dried it was time for photos, first on the drive and then I drove to a couple of locations near my house - an industrial estate with a gravelled area and then to the car park of the local football ground. Different locations produce different lighting off surrounding buildings and trees which I why I like to mix them up a little. 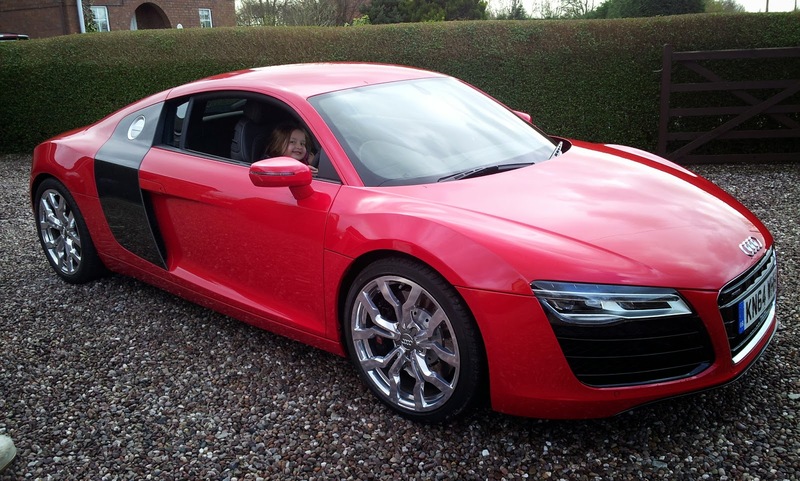 The last job before heading south was to take my youngest daughter for a ride in the R8, which I had been promising. Booster dropped on the passenger seat and moved fully back the 6 year old was buckled in and grinning like a Cheshire Cat. We just squeezed in a few miles taking it steady in the corners with such a precious cargo onboard but on the straights and particularly from traffic lights gave it some stick to show off the supercar's acceleration. Back at home we finished off with some nice photos with both kids in the driver's seat. I set off for the at about 14:00, stopping of in Knutsford to pick up some greenhouse staging I had won on ebay. I trusted the sat nav which doesn't take full postcodes and it got me there spot on. 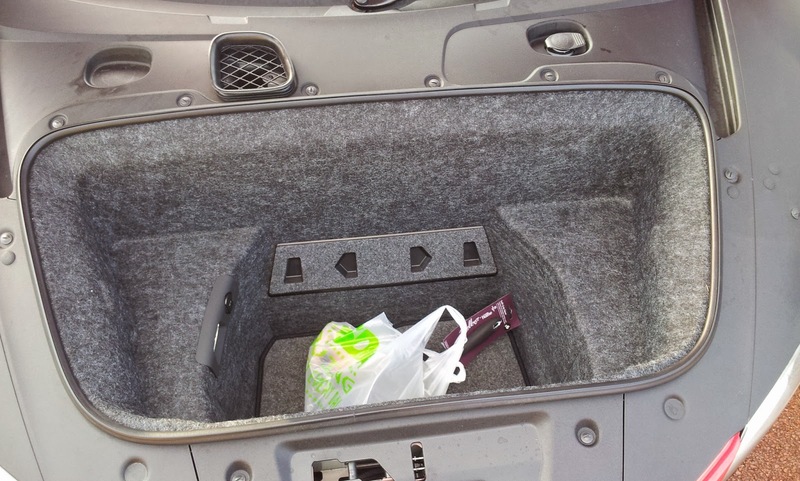 I disassembled the staging expecting to have to put it in the passenger footwell but it fitted nicely in the front boot. I paid the man then set off for Stoke to James who manages the Speedmonkey Facebook page. The sat nav took me a queer route and I ended up in north in Altrincham before heading out to the A556 then onto the M6. I had intended to hook up an emergency TomTom but with time limitations didn't bother, in hindsight it may well have saved me that time. A steady jaunt down the motorway and then some fast A-roads led me to somewhere in Stoke. Again the sat nav got me bang on the destination although, as I couldn't see the house numbers, drove past it at first. As I turned around a little boy waved at me, grinning. Mustn't see many of these around there. As I came back on myself another couple of young lads rubber-necked the R8 as I drove past. 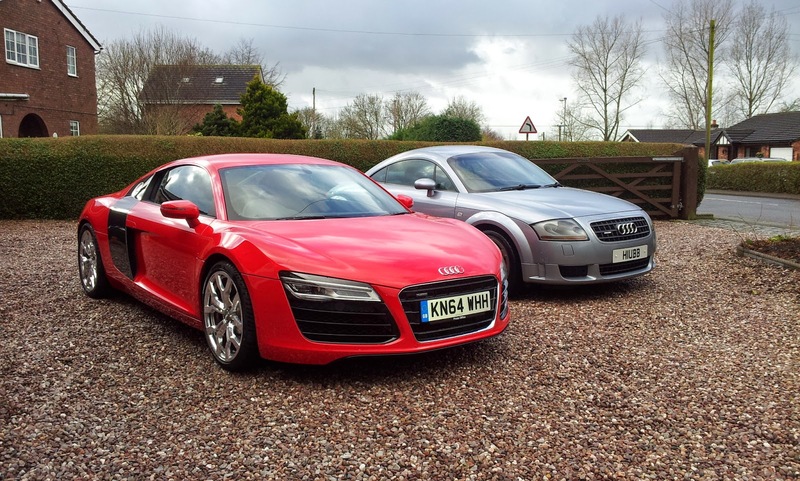 I picked James up and then we went off for a few miles to explore the delights of Stoke and the R8. I was directed to some tunnels and, as is customary, the windows went down, sport mode was selected and, using the paddles, dropped down to second for some hard and fast acceleration. As the revs climbed the noise of the high V8 reverberated off the tunnel walls and back into the cabin. I just wish I could have bottled the sensation! It would be rude not to so we turned around and did it again before heading back to drop off a seriously impressed mate. With sat nav duly set I headed south for the final leg. The sat nav turned out to be fairly intuitive and could be used solely by the display between the clocks and the voiced directions (which sounded just like my Auntie Pauline) but it is easier to navigate with the main central screen on nav mode so roundabouts and junctions ahead can be seen on a map as they approach. The first fault I found with the R8 is that you cannot use the trip computer while the nav is in operation so whilst I knew I had 150 miles to go I couldn't tell the range the fuel would provide. You have to turn off the navigation so you can see the range then turn it back on again. Not good. Down on the M40 the sky was beautifully clear with just a scattering of dark, moody looking clouds high up. As I took the exit off the M40 onto the A34 the skies turn dark and I saw the R8's LED auto headlights turn on - shining a bluey white clean light onto the road. Even the front indicators are bright and can be seen shining their amber glow on other cars and traffic signs. The A34 is tree lined and very dark in places so I am grateful for such quality lighting as the A34 is jolly good fun when it is quiet. The 2 lane carriageway meanders through the countryside rising and dipping and veering left then right which gives the R8's fixed suspension a good workout and proves more than up to the job. It does ride reasonably hard but the damping is spot on so it deals with bumps immediately and no crashiness is felt through the cabin. The weather has turned quite windy and is blowing from the side, not evident from the cars behaviour or through the wheel but it can be heard whizzing through the side vents just the door. This was the first time I heard any wind noise in the R8. I had to stop for some fuel on the M34, just a little to get me to somewhere near Matt's house with cheaper fuel so I put a tenners worth of super unleaded in to the 90 litre tank. I had done some 360 miles on the full tank and, with a range showing 10 miles, real world calculations mean I have done approx 18mpg with 150 steady motorway miles and 210 on fast country roads. Pretty impressive really and a benefit of the V8 over the V10's more thirsty motor. I arrived at Matt's house at 19:00. He guides me onto his drive over a fairly steep pavement and the R8 clears it with no issues. We have a quick brew then head out to find some fuel and to show off just some off the R8's talents. There are many speed bumps and traffic calming measures in the vicinity but this supercar takes them in its stride and 30mph proves no issue at all over them. Yet more super unleaded is added and then we find some open roads for a little play. Using the paddles is a more enjoyable experience as you interact with the car more and can hold a lower gear with the second clutch ready to deploy the next gear, but it shows off better in fully automatic - and especially with sport mode selected. For fear of doing any damage to the engine in manual I change up at 7,000rpm but in auto it drops down one or two gears at a time which unsettles the S-tronic box as it shuffles between clutches and gears so there is a small delay - then rushes to the redline before dropping the clutch for the next loaded gear. As you slow for the next corner the box drops cogs and gives a glorious throttle blip on every change. We head back home, climb the drive and park up for the night. After a good 220 miles I feel fresh as a daisy and am more in awe at the R8's abilities as both a supercar and everyday comfortable usable transport. One of the reasons I came to see Matt was to have a play with his GoPro and get some footage of the R8 in action. Some things can't be fully described through words or seen in photos, like the sweeping indicators or the noise of that V8 roaring up through the rev range, so we strapped the GoPro to back of a Volvo V60 Hybrid. This was a cunning plan as the hybrid could run on electric power so the R8 could be heard in its full glory. Well, that was the plan. Unfortunately it was too fast for the Swede and so diesel power had to kick in to keep in range of the German sprinter. Half an hour's driving and a video review (my first please be gentle) and it was time to head back and review the footage. GoPro downloaded and luckily it did capture some nice footage of the R8 so after a brew I headed north for the 190 mile trip home. Coincidentally the range read 190 miles and so I promised myself I would take it easy so I could refuel back home instead of on the motorway. The A34 in daylight was a different road, still quiet and still fast but daylight made progress easier but less exciting. As I turned onto the M40 I settled to a steady 70mph which equates to slightly over 2,000rpm and at this point I would have turned on cruise control but R8's don't come with it as standard, and this one wasn't fitted with it. Shortly after a red Ferrari F430 was seen in my drivers mirror, then pretty quickly along side me and then in front - he was going some! Oddly enough I wasn't remotely interested in giving chase and having a little play as I felt smug that the car I was in was capable of doing more than two and a half times the speed limit yet was more than happy to let him go. As I sat in the inside lane at legal speeds I drank in the details of the cabin. This R8 is trimmed in fine black Nappa leather but the test car sported the extended leather package (£2,700) and contrast stitching (£275) so not only were the seats trimmed in super smooth cowhide but so are the tops of the doors and dash, plus they are finished off with millimetre perfect white stitching. The result is the equivalent of a Saville Row suit in automotive cabin terms which, combined with the quality Audi switchgear, is a very nice place to spend time. The driving position is spot on too. It is a fairly horizontal position to keep the car and centre of gravity low but is perfect in execution. The steering wheel has plenty of reach, there was lots of room for the redundant left foot and a good 2 inches of space between my head and the headlining. As the R8 is a wide car for increased stability and cornering this benefits in a nice wide cabin so there is an air of lightness about it. As mentioned previously visibility is excellent, the very wide side windows mean you can carry out a quick and easy lifesaver when changing lanes. The rear view can be comical at times as the extreme rake has the effect of comedy mirrors at the funfare - at one point I could clearly identify the car behind was a recent 7-series but the grille looked about 2 feet tall. Shortly afterwards I dropped onto the M6 (not the toll) which for once was quiet. At junction 5, near Fort Dunlop, the road quality turns abysmal which feels like it was patched together in 10 metre sections and has the effect of feeling like all 4 wheels are running over cats-eyes - bum, bum, bum, bum bum and doesn't get any better for about 3 junctions. This had the firmly sprung R8 jiggling and pogoing quite a lot so I was glad when I got past it. As I get past Birmingham the M6 is quieter still so I gave the stereo a good workout. The first disc in the 6 disc changer (a £150 option) was the best of Dire Straits. The sound is very good for a standard hifi - the 7 speakers provide warm, clean sound with very effective bass. I love my car hifi and have all sorts of woofers and amplifiers in my boot but can honestly say I would be perfectly content with this set up and wouldn't feel the need to spec the options £950 Bang and Olufson with 3 times the power and an additional 5 speakers. Next up was Pendulum and again it coped very well, the increased bass notes were handled with ease. At junction 18 it was my turning and some fast A roads took me home. I pulled into my drive at 15:30 having just driven 190 miles in 3 and a half hours, and with 60 miles miles left in the tank according to the trip computer. I got out and felt comfortable. I had no aches and pains and my head was clear. This turned out to be my last drive in the R8, which is sad as it's such an accomplished, capable and desirable companion. I was hoping Audi had forgotten about the R8 but sadly I received a text from home at 15:00. It had gone.